Auroville, a town situated between Tamil Nadu and Pondicherry on a 20 sq km area will complete 50 years of its existence on February 28, 2018. The occasion presents an opportunity to look at the birth and vision of Auroville and its relevance for India and the world especially in contemporary ‘volatile’ times. Auroville recently (in last week of November) held a series of national events in Delhi marking its golden jubilee celebration. The values of —sustainability, peace, harmony, organic growth—though crucial at every stage of human evolution have become more pronounced and desirable today. The conflict of man with man, of man with nature and of man with himself is taking a toll in our daily lives. And, if not contained, the future existence of human civilization will certainly be in jeopardy. From internationalism to rural development, generation and use of renewable energy, promotion and preservation of art, architecture and culture, examination less education, freedom to pursue passion and an ‘unthinkable’ living without salaries is true of this small world consisting of 2700 people from 54 nationalities. The concept of an international-universal town devoted to an experiment in human unity originally sprang from the writings of India’s great philosopher-yogi Sri Aurobindo. It was his French-born spiritual collaborator and co-worker Mirra Alfassa, known as The Mother, who first gave it more concrete form by naming it ‘Auroville’ and stating: The Master Plan for the town is based on a spiral galaxy shape and incorporates four sectors (the International, Cultural, Industrial and Residential Zones) plus a surrounding Green Belt. 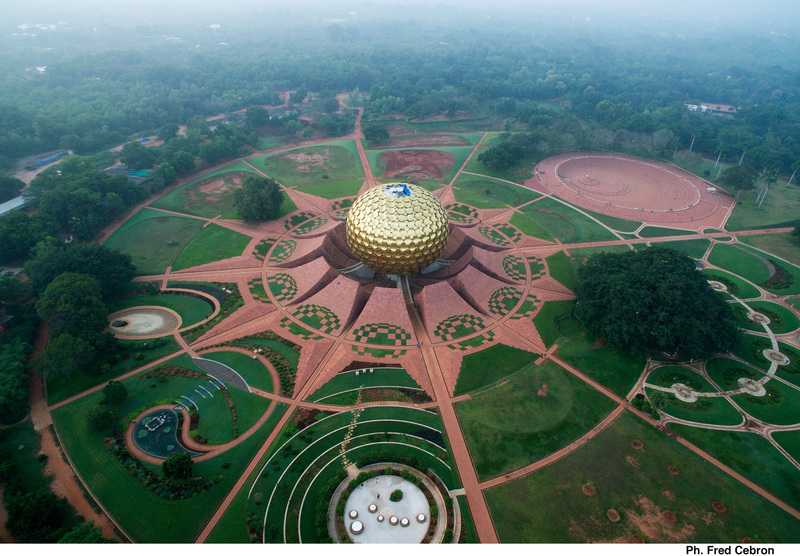 The four Zones have as their focus a huge globe-shaped structure called the Matrimandir, the ‘soul of Auroville’, a place for silent concentration. The Matrimandir will be surrounded by beautiful gardens, and eventually a lake. Auroville today numbers around 2,700 inhabitants from over 50 countries, including India, living in some 120 settlements of varying size and character spread over a total area of 20 sq km. In their day-to-day life they are engaged in the fields of agriculture & green work, renewable energy, education, health care, village outreach, construction, electronic commerce, the arts and administration. All are volunteers who either receive a monthly basic ‘maintenance’ in local rupees, or pay for themselves partly or entirely from their own private resources as a contribution to the project. 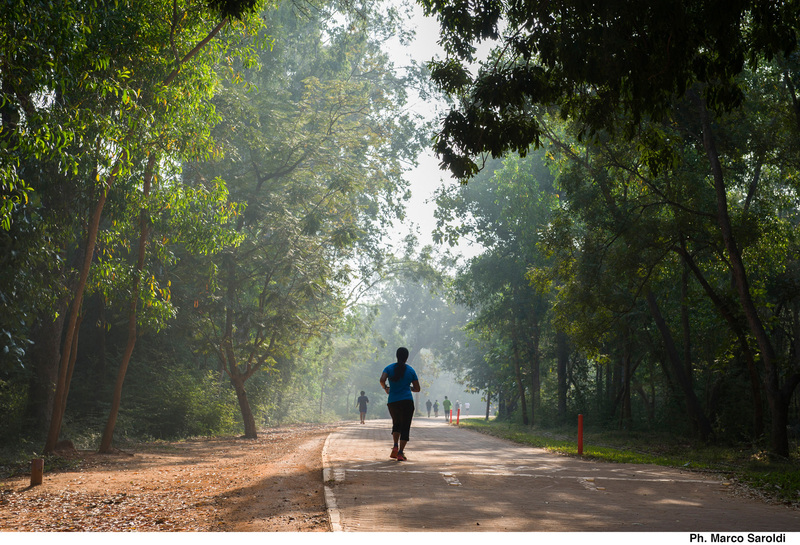 The town of Auroville, which is meant to house a population of 50,000, has a bunch of early settlers, who are giving it a connectivity of past with future. And the spirituality in practice has made them mentors in this transition. At the same time the caravan of new comers are equally enthusiastic and enjoying the immersive experience. Ntakirutimana Clapton, who is working here at the Africa Education Center, is living here for the past seven years with his family is very happy about his decision. “After initial orientation of three months where you get to acquaint yourself with the Aurovillian system and processes, life is on a new high and you’re mission driven. You live and think as a community of passionate human beings working for learning to live together,” he says. The odysseys of all ‘emigrants’ is likewise a fascinating story of a liberation of human virtues. Auroville’s multi-cultural educational system endeavours via its nine schools to help each child discover the inner self and realize her/his highest potential. It is increasingly based on a free choice system, which allows the children / students to choose their own subjects for study. Sports and physical education are strongly encouraged for the balanced and healthy growth of the child, and artistic training is given to develop aesthetic faculties. 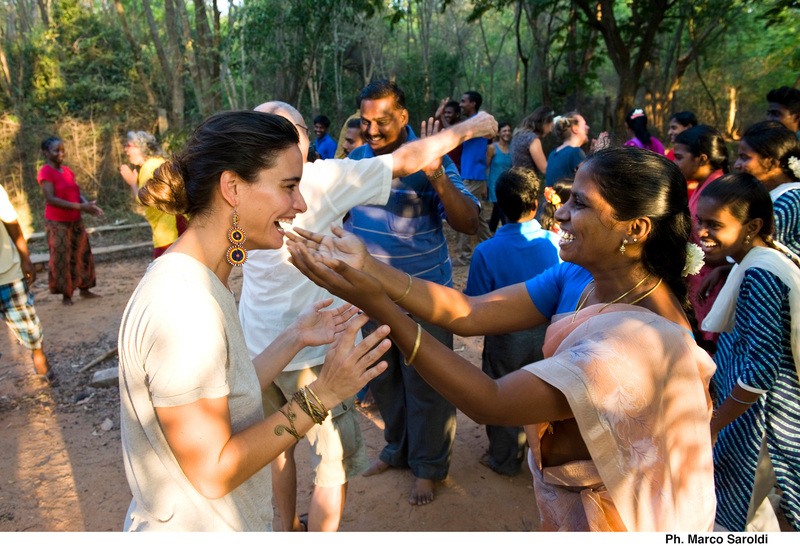 Most of the Auroville and Outreach schools are under the umbrella of (Sri Aurobindo International Institute of Educational Research). Special care is given to volunteering students from India and abroad, who are given meaningful activities and study projects guided and monitored by the town. 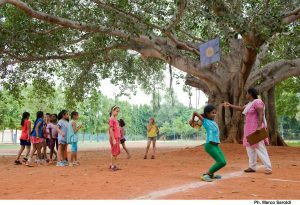 Additionally, 700 children from the surrounding villages benefit from Auroville’s educational programmes via another half dozen day or night schools and educational centres established and overseen by Auroville’s Village Action teams. The unending education, the applied research and the quest to find best within humans and importantly bond together are some of the best lessons that are learnt from Auroville.